Funnel marketing is a way to market your product and service at low cost through digital advertising. It is a most popular tactic on internet marketing to promote any offers which drive most of the sales. The funnel is a combination of multiple pages to make visitor hooked with an offer. Your landing page which is focused on what most important and designed to make visitor take action toward the call to action while serving your end marketing goal is what called funnel hack. A landing page is most important part of digital marketing, no matter what products or services you are promoting online if your landing page is not responsive, well crafted and written then it will be very hard to get a conversion. 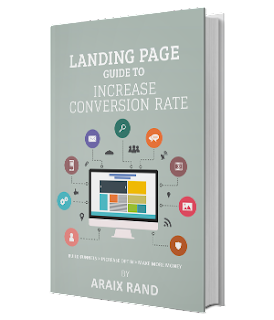 In this ebook “Landing Page Guide to Increase Conversion rate” you will learn how to design, write and setup funnels for your landing page to boost your conversion rate on your marketing campaign.